Creamsicles and lemonade are summer foods, but they’re borne from winter produce. The best oranges, the juiciest lemons, are always found in the cold months. So this is as much a winter recipe as it is a summer one. This custard is full of sweetness, but the whipped cream holds something back, letting the true tartness of the lemon shine through. Sort of like spring buds poking through the last winter slush. Let this sunny dessert be the culprit that kills your icy winter blues. Combine the orange juice and the tapioca starch and set aside.Make sure you have no lumps. 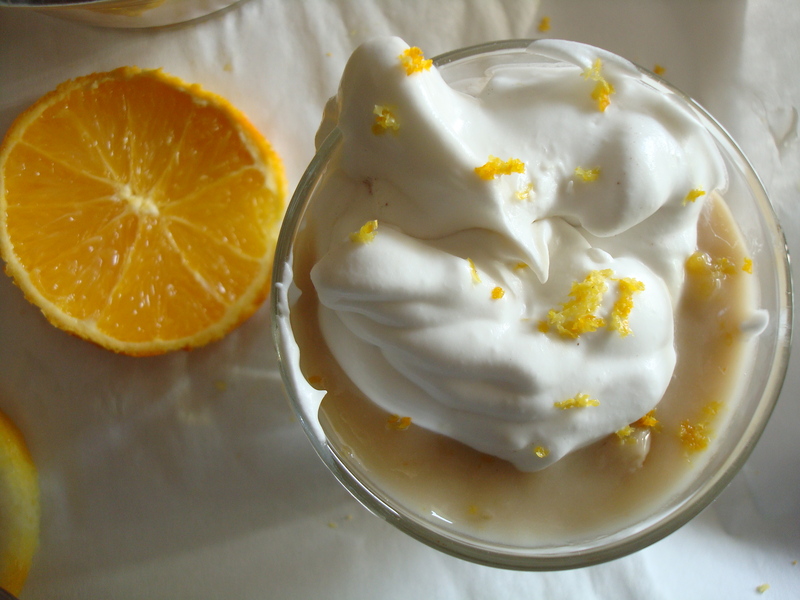 Combine the orange zest, vanilla, and coconut milk fat and set aside. In a saucepan over medium heat, dissolve the sugar in the almond milk. Bring to a slow simmer, stirring occasionally. This should take about 4-6 minutes. Whisk in the orange juice mixture. Reduce the heat slightly. It should be getting really thick and bubbly. Stir occasionally. After about 4-5 more minutes, take it off the heat and add in the orange zest mixture. Pour it into a 9 x 5 dish and let it cool completely. Don't touch the surface while it's cooling. Let it chill in the fridge for several hours. Combine the coconut milk fat, the sugar, juice and zest in a bowl. Beat until fluffy. 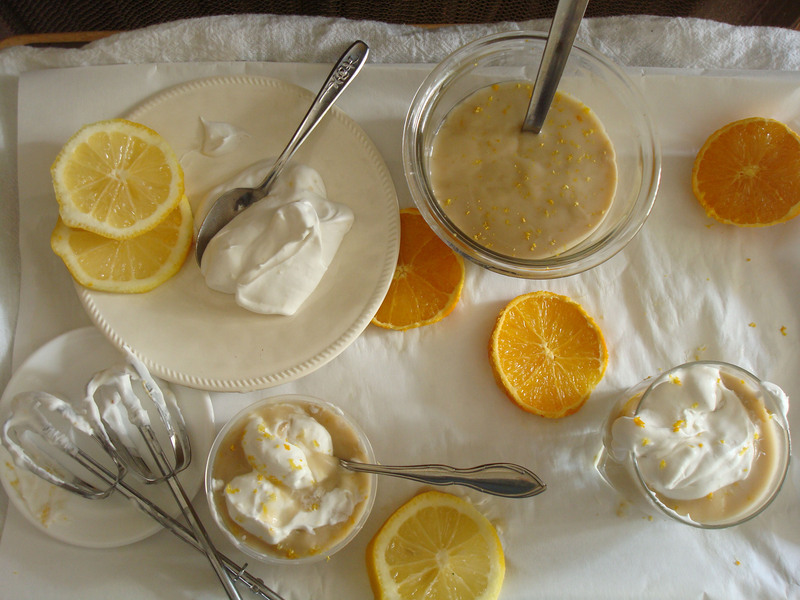 To serve, spoon custard into bowls and top with whipped cream. It can also be served in layers, like a parfait. Garnish with additional zest if desired. custard adapted from both hell yeah it’s vegan and baked by rachel. Thanks! I couldn’t decide which I likes better, so I just threw them on top of one another. I’ve spent a TON of my life associating citrus with summer and so it was so strange to me a few years back when I realized that citrus is a winter fruit! Crazy. I’ll eat creamsicles any time of year…and your custard sounds pretty darn super. Thanks, Joanne! I’ll eat creamsicles any time of year too. I mean, they’re darn creamsicles. There is no inappropriate time. Wow you’re pushing all my buttons with this one! And yes, I left it on the counter because it’s cheese and I wasn’t done eating it. 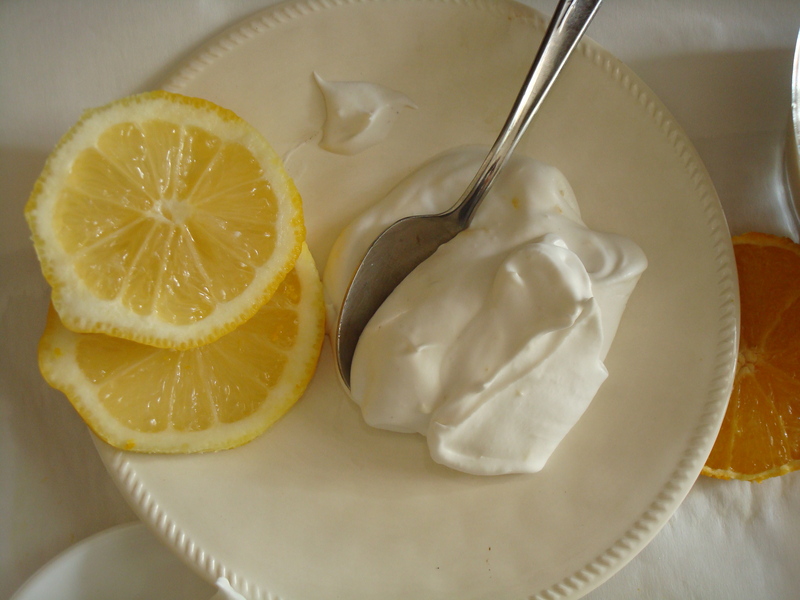 Lemonade whipped cream? Be still my heart, that sounds amazing! Thanks! I love lemony things. I love that citrus is a winter thing. Like it was put here to brighten things up, and we’ve been doing this wrong the whole time! Was lemonade meant to be hot? WHO KNOWS. Hot toddies for everyone! Woah. This just looks incredible. I crave citrus more in the winter–I guess my body knows they’re winter fruits. 🙂 I am so trying this. Same, Maryea! I just wolfed down three oranges and am still hankering for more. I love citrus-y treats and have always been HUUUGE on the creamsicle! These look so purely decadent and delicious! Move over, chocolate and pb, I’m going creamsicle! I’ve always been big on them too. Speaking of which, I wish creamsicles were bigger. They just melt away in minutes. Hey, who’s been eating my popsicle. oh wait that was me. I am not a fan of lemon, but the rest of my family would love this. It’s always hard when the rest of your folks like something you don’t. YOu can always just make plain whipped cream for yourself! You deserve it.